Desiree Linden races in Boston on Monday. Stateside's conversation with Desiree Linden, winner of the Boston Marathon. She's the pride of Michigan's running community, and today she's basking in the glow of being the first U.S. woman to win the Boston Marathon in 33 years. Desiree Linden trains with Hansons-Brooks in Rochester Hills. 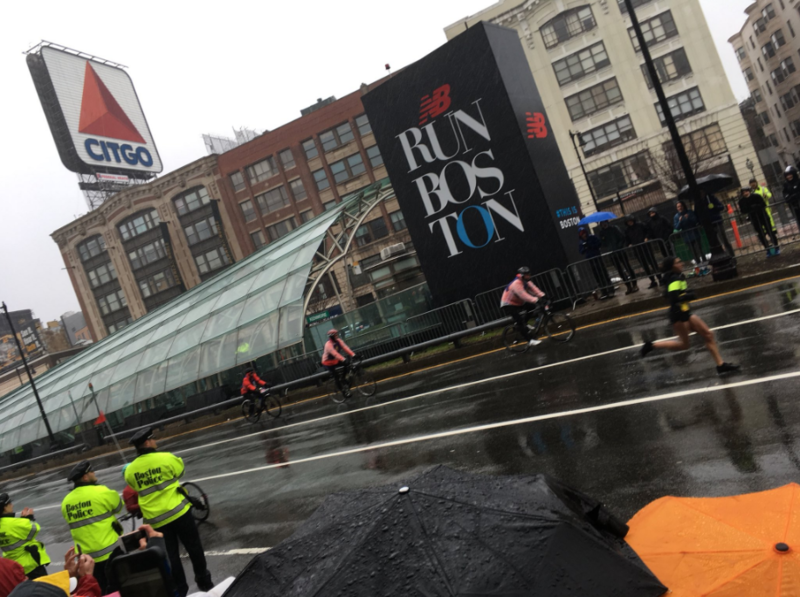 She plowed through wind and rain to finish in 2 hours, 39 minutes, and 54 seconds. Michigan Radio's Christina Shockley is a life-long runner who has run the Boston Marathon twice, and she spoke today with Desiree Linden. Listen above for that conversation. You’ll hear Linden explain how training in Michigan helped her conquer the race, what her win means for American women distance runners, and what she plans to do as soon as she’s back home.